Hi, this is my first post here, so I thought I would share my most recent project. I just recently came across this website and I love it! 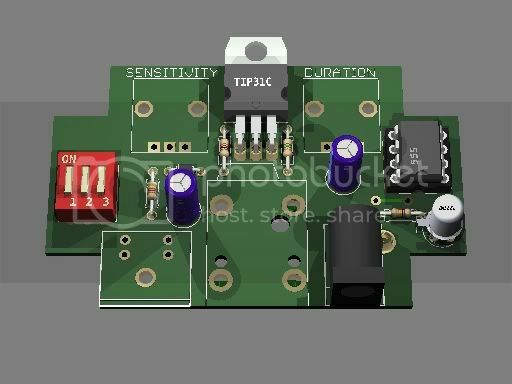 This is a DIY circuit for triggering LED strips (12v RGB or single color) typically for drummers that anyone with a little electronics experience can make themselves. 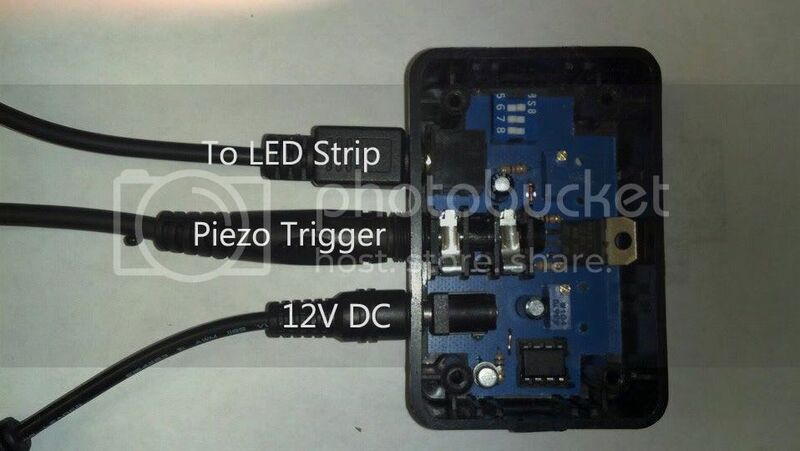 This is a single LED trigger that works with any piezo drum trigger. The Prototype is done and functioning very well. The PCB toner transfer PDF is below along with a BOM (with mouser.com components speced). I think I also may throw together some complete kits if anyone is interested let me know. 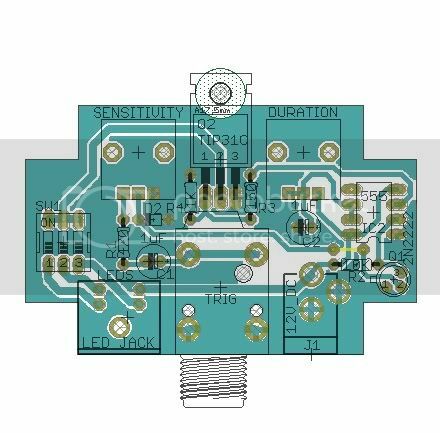 I figured to include all of the components, the piezo trigger, the enclosure and the RGB LED strip. The dip switches will allow for switching between the Red, Green and Blue, but also give you mixture combinations of Yellow, White and I think it's Cyan or Purple (can't remember). I am working on a paper drill template for the enclosure. I will post that once I have verified that all of the holes are in the right place. The BOM (Bill of Materials) can be found below.